My childhood was dotted with amazing birthday parties. Pouffy dresses, cucumber sandwiches, homemade cakes and games.. oh my! If I close my eyes I can still feel that itchy petticoat scratching the back of my legs. One of my favorite party games of all times was the memory game. A tray would be filled with household items and lowered to the floor in the middle of a group of squirming kids. We’d have a certain amount of time to look at the tray and try to memorize everything we saw. The tray would then be pulled away and we’d have one minute to write down all the objects we remembered. The child with the longest, and most accurate, list was the champion and received a prize. (Those were the days when we played games that produced actual winners and losers- I know, I know, it was brutal…) Forget pin the tail, hide and seek or even duck-duck goose..the memory game was all I cared about, and even though I never won, I loved it anyway. Have you noticed how many trays are for sale at all the department stores these days? 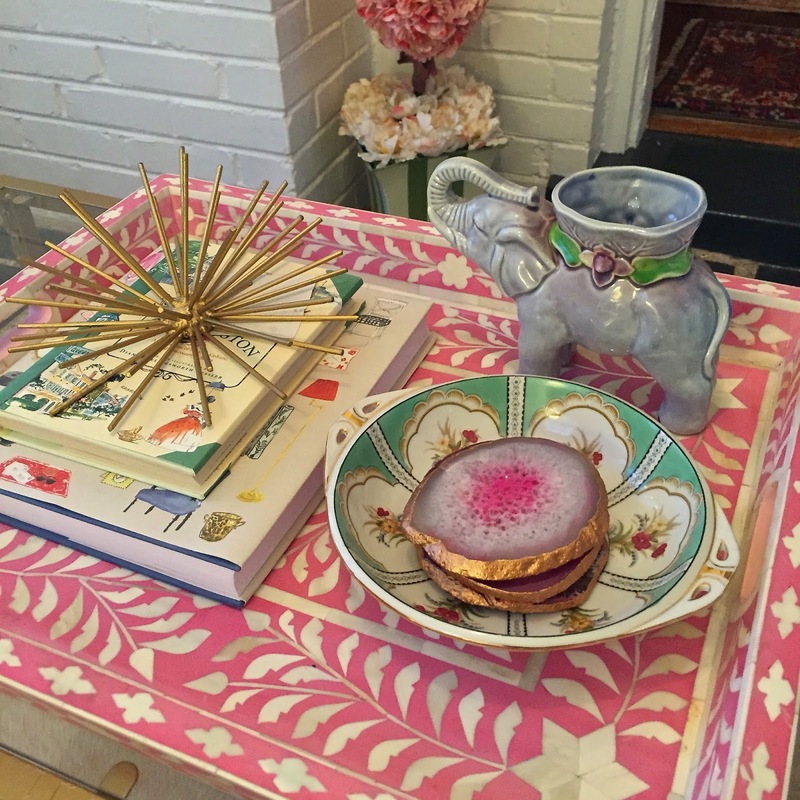 Funny enough, there’s a decorating trend that features pretty trays filled with various personal objects. 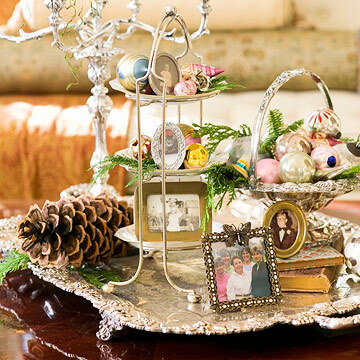 The purpose of these knick-knack trays is not to test your memory, but to simply bring back great ones. Meaningful items are positioned and displayed.. postcards, opera glasses, books and shells..you just place on your tray those items that mean the most to you. I have purposely tried to decorate my home in a way that hopefully stirs happy thoughts and triggers warm family memories. I have an old, empty bottle of wine from a wonderful trip with my husband, family photos, coffee mugs from all over, my kids’ art, pillows and wall hangings with words like LOVE and HAPPINESS printed on them. 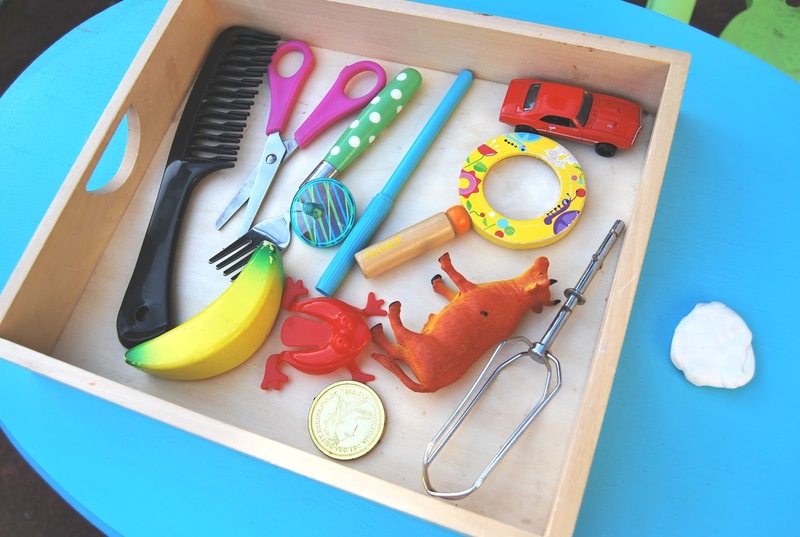 Surprisingly, I don’t have a memory tray, but I intend on creating one soon. I already know what I’ll put on it…my dad’s sunglasses, a favorite book, an old, handmade porcelain plate.. I truly believe that every one of our senses can lift our spirits… smelling a certain scent, hearing a favorite song, eating a meal made from a beloved family recipe, snuggling in an old sweater, gazing at a tray full of pretty possessions.. So why not use all five of these avenues to enhance our well-being? Creating happy thoughts, refreshing our minds with wonderful memories, filling our hearts with gratitude..what could be more worthwhile?